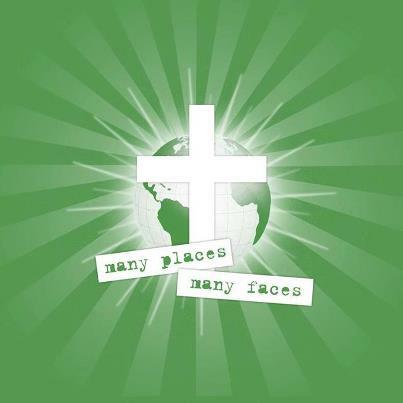 At IBC we are delighted that the song “Trust” – written by members Amelia Tionanda and Linde De Vriese – has been chosen for the International Baptist Convention’s CD project called “Many Places, Many Faces.” The CD is now available for sale on the welcome table after the Sunday service, for only 8.50 EUR. Here’s a short video of what to expect. And if you click here you can find out about the artists and production team. We look forward to hearing Amelia and Linde singing “Trust” in the September 16 service. We’re very excited in what God’s been doing through this worship music ministry. This CD compilation from 11 songwriters from 9 different IBC churches has made a new colour in worship music within IBC family, but we are 1 body in Christ, that’s amazing! This CD is produced with a great variety style of music and lyrics that are designed to worship, uplift and encourage us to draw closer to God. “After finishing our 3rd in-house worship cd in December 2010, our pastor, Dave Stemmet threw out the idea that we should consider producing worship cd with songs from different churches within IBC church network…. That idea was nice but seemed way too big and too complex for us to seriously take on. A few weeks later, after speaking as a guest preacher at the IBC Bremen in Germany, pastor Dave, told us about a worship leader there who wrote several songs that the church was singing. Pastor Dave suggested that I listen to her songs and possibly use them in the IBC Hamburg as a way to connect our churches.